What is donair? (Or döner). Well if you’ve ever walked passed a Turkish or Middle Eastern restaurant and see a massive vertical rotisserie with the most fantastic smelling ground meat mixture wrapped around it…yep, that’s donair. Typically the way I see it served here in Canada is the meat just spins on the rotisserie all day, and the vendor slices off the outside part of the meat and puts it in a pita bread wrap along with fresh veggies and sauce. It is delicious. 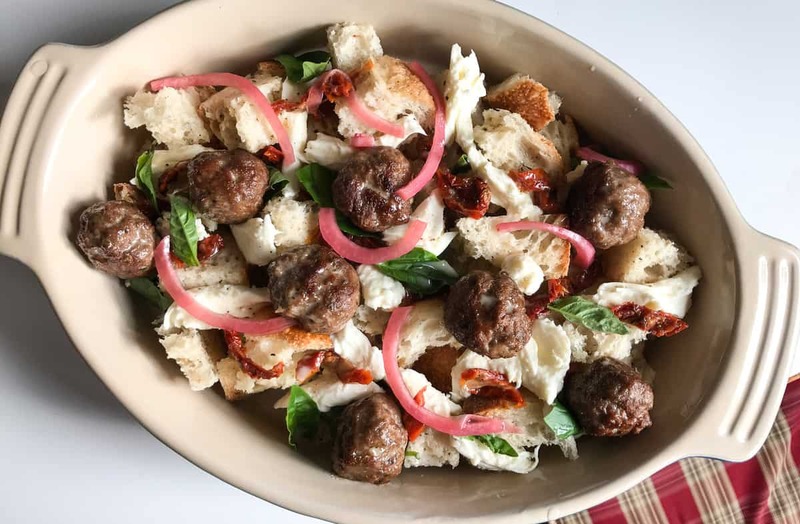 So Kelly took the idea of donair and turned it into meatballs which go on top of a sourdough panzanella, which is a classic Italian bread salad. 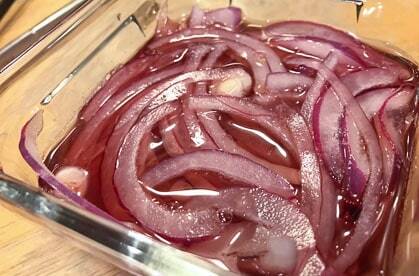 I was quite intrigued by this idea and at first wondered how it would turn out, but let me tell you it was so good!! My Swap Experience. It was SO fun to be following someone else’s recipe for a change! As you know, I spend most of my cooking time coming up with recipes for other people to follow, so to be on the other end was such a refreshing experience. I printed out the recipe and took it to the (non-Asian!!!) grocery store, grabbed ingredients I rarely buy, and had a lot of fun with the whole process. 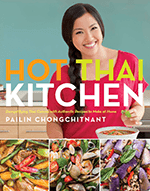 It gave me a great insight into how YOU guys feel when you print out my recipes, go to the (Asian) grocery store grabbing ingredients you rarely buy! I followed the recipe almost exactly as I wanted to taste the recipe the way it’s intended, and any changes I made I indicated in the recipe below under “P:”. I was extremely happy with the result! This is definitely something I’ll be making again. Thank you ThinkBeef.ca for sponsoring this fun project! There should be info on there soon-ish about what other recipes the other bloggers have come up with, I’ll keep you posted! 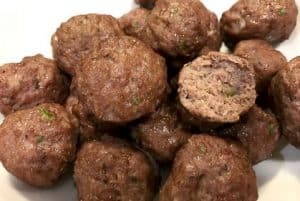 When ready to serve, cook meatballs in a hot skillet over medium heat until browned and slightly crispy. 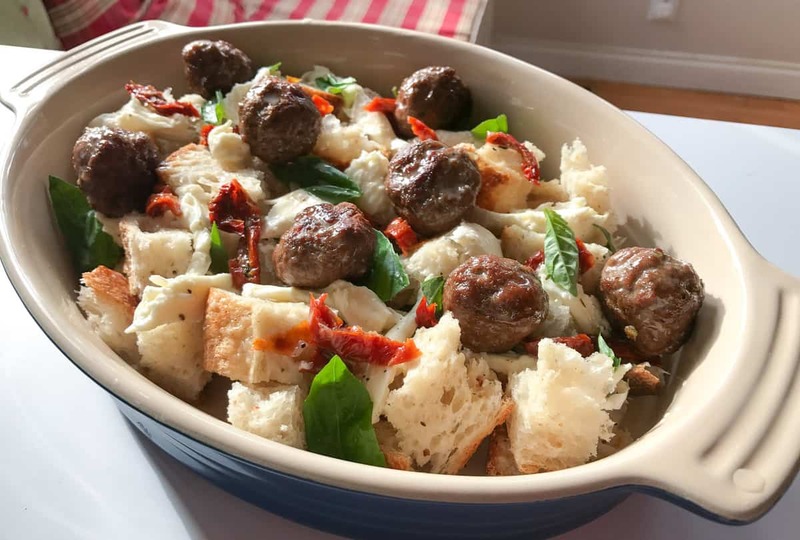 Heat a small skillet over medium to high heat (P: I added a little oil to the pan)– once hot, add pre-baked donair meatballs and cook until browned and slightly crisped on the outside – reduce heat to minimum to keep warm.